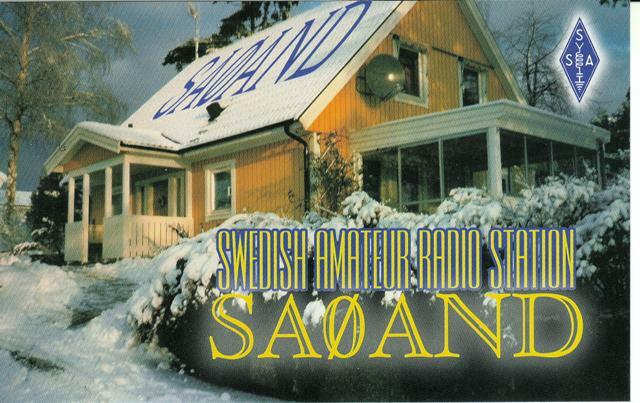 I send QSLs for all DX-QSOs who wants QSLs and for Swedish QSOs wuth exception of the Swedish domestic Contest MT/NAC. 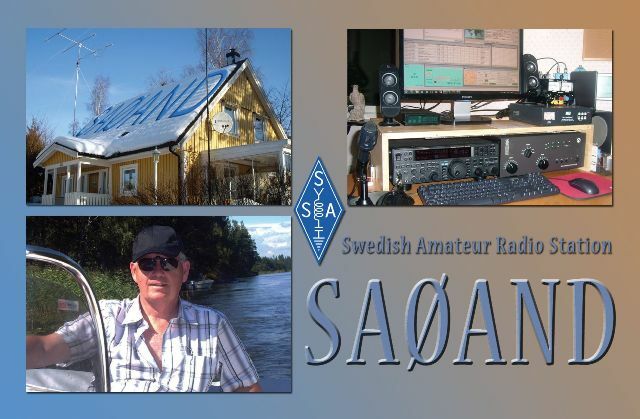 I reply 100% to all QSLs received via the Bureau for new band and/or mode QSOs. If You do not get a reply, the card was not received. If You send a card directly with a SAE and $1 or 1 new-style TRC, I will return my card within 1 week. I am also a member of the ARRL LogBook of THe World. 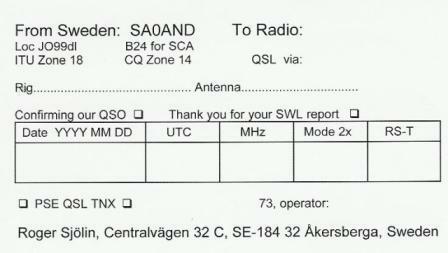 ARRL LoTW.